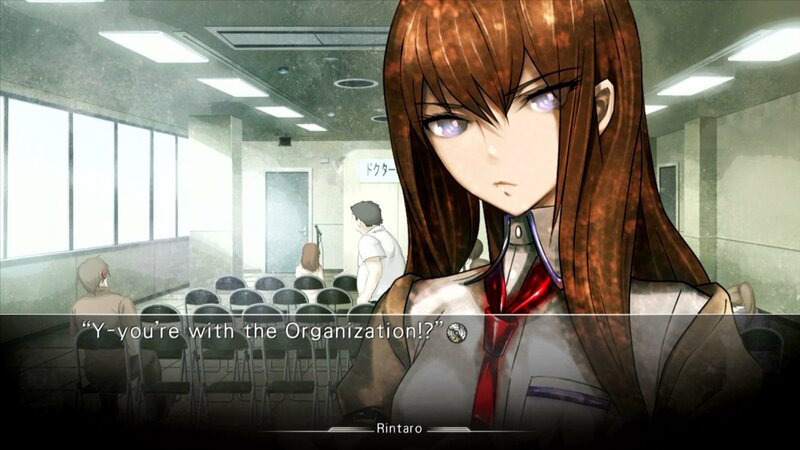 The U.S. version of Steins;Gate has finally been dated for release and will be distributed exclusively through the online retailer Rice Digital. 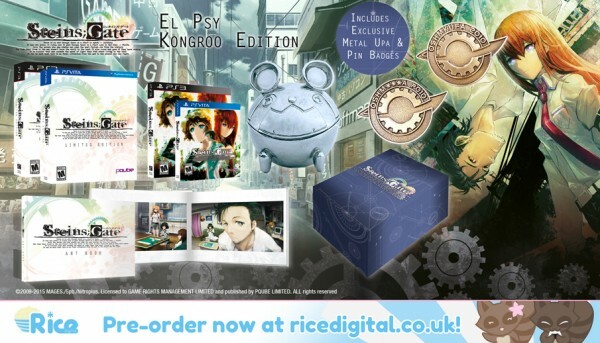 It's going to be available on PlayStation 3 and PS Vita, though those who want to spend more money and get more trinkets can buy the "El Psy Kongroo Edition" through Rice Digital as well. The "El Psy Kongroo Edition" will feature a double pin badge set, a 126-page artbook, a Metal Upa replica, Metal Upa presentation box, and the game itself. The game already launched in Europe on June 5 and on PC a year or so ago, but without as much fanfare -- but now you can take it with you on the go and enjoy it wherever you are! Are you going to be picking up the special edition or will you stick to the vanilla game? Let us know in the comments below!